The goal of hormone replacement therapy is to replace hormonal deficiencies and create an optimal balance using hormones that are biochemically similar to the hormones that the human body produces naturally. These hormones are known as bio-identical hormones, they are compounded hormones that are customized for individual patients by pharmacists with special training. Synthetic hormones are also made in a laboratory but they are not identical to your natural ones. Bio-identical hormones are the most natural form of hormone replacement therapy for men and women. Both men and women need Testosterone for optimal health. It is needed for libido, muscle mass and strength, leanness, and a general sense of well-being, positive mood, and sharp mental function. Women who have low levels or non-detectable testosterone levels suffer from a loss of libido, an increase in body fat, and osteoporosis. A loss in testosterone in men can lead to atherosclerosis, increased risk of heart disease, obesity, fatigue, depression, and anxiety. There is no evidence that testosterone therapy causes prostate cancer although it can cause undetectable cancer to grow larger if present. Andropause is often referred to as male menopause. This is a state in which the hormonal balance of men is deficient and they may suffer decreased libido, decreased sexual function, fatigue, loss of muscle mass, and depression. Some men describe it as a feeling of sudden and rapid aging. The cause of this condition is often multifactorial, being a result of adrenal fatigue as well as low levels of Testosterone, DHEA, and Growth Hormone. They are medical messengers that go around the body and police its activity. 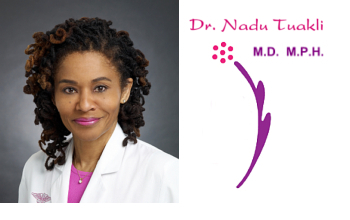 Watch Dr. Tuakli explain Bio-Identical Hormones, Estrogen, Testosterone and Progesterone. Men and women may present with a variety of symptoms when their hormones are unbalanced. Examples include: Depression, Decreased Libido, Dizziness, Forgetfulness, Hot Flashes, Insomnia, Irritability, Night sweats and Anxiety.